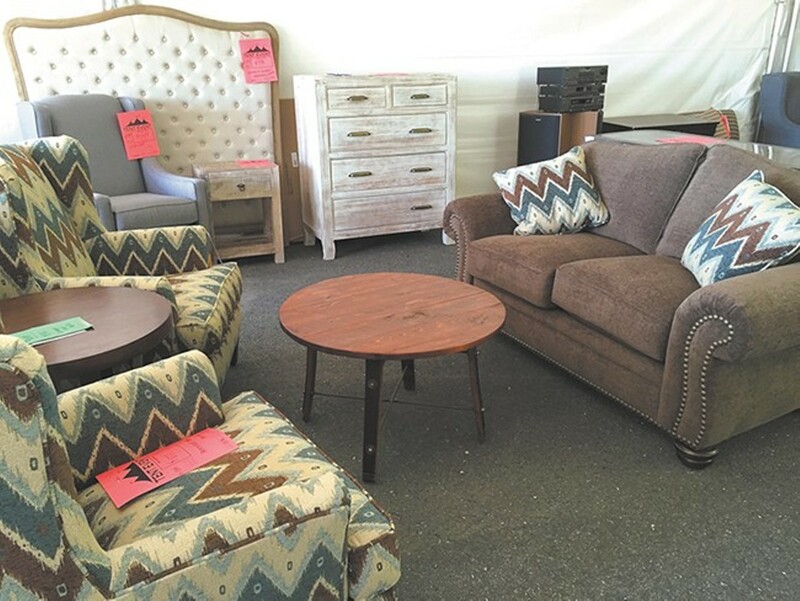 Chairs, tables and headboards are deeply discounted at the Tin Roof Tent Event. GlamAgain hosts its huge boutique fashion event twice a year, where shoppers can buy and/or consign name brand and designer clothing, shoes and accessories. Stop by the three-day event and find brands like Kate Spade, Lululemon, Banana Republic and BCBG for at least 70 percent off retail prices. The designers at Spokane-based Millianna combine form and function in their handmade artistic pieces. Find items from the current season's collection, as well as discontinued and sample pieces — many of which are one-of-a-kind — sold at wholesale prices. Twice a year, Spokane ladies have a chance to shop upcoming women's fashion apparel and accessories before they hit boutiques around the country. The clothing and accessories are all new and high quality, and donations are accepted at the event to support local women in need. For years, the Tin Roof's annual tent event has offered discounts as deep as 99 percent off retail, bringing fashionable fine home décor within reach for all kinds of local shoppers. Find deals in the tent and inside their three storefronts: Tin Roof, Reskued and Tin Roof: Forefront. Veda Lux has a few great annual sales, but this is one of our favorites. Find $20 dresses and vintage boots, bins of $10 skirts, tops and accessories, and $10 bins for gentlemen as well. Etailz is a local e-commerce company and a top retailer on Amazon. When they have too much inventory, Spokane shoppers reap the benefits. Brace yourself to dig through bins upon bins of deals on baby, home, beauty and electronics items for as low as $1. Throughout the year; Spokane Industrial Park building 130, 3808 N. Sullivan Rd.